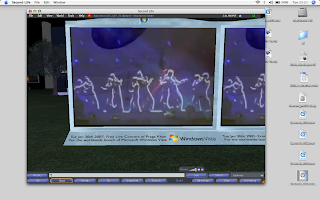 Yesterday evening at 11.00 pm CET Windows Vista was launched in Brussels with a concert from Praga Khan. 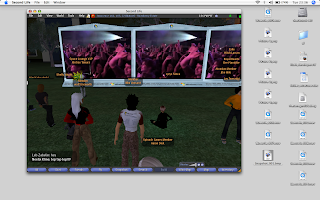 One Agency took care of the event in Second Life. Organized by One Agency, streamed by Rambla. I do know Rambla for their very good service of server sided video enconding and the streaming of the Burningman video's. Which reminds me that I have to write about my Uchronian membership and the fact that I have to get into really soon now.